Map showing the Westside Collaborative Vegetation Management Project. The project area is surrounded by the yellow & black line. The approximate area of the Roaring Lion fire as of 08/04/16 is shown in pink. A timber sale that aims to reduce fire danger has been approved by the Bitterroot National Forest near last year’s Roaring Lion fire site. Bitterroot National Forest Supervisor Julie King announced Tuesday that Pyramid Mountain Lumber of Seeley Lake has been awarded a timber contract for the Westside Collaborative Vegetation Management Project on the Darby/Sula Ranger District. 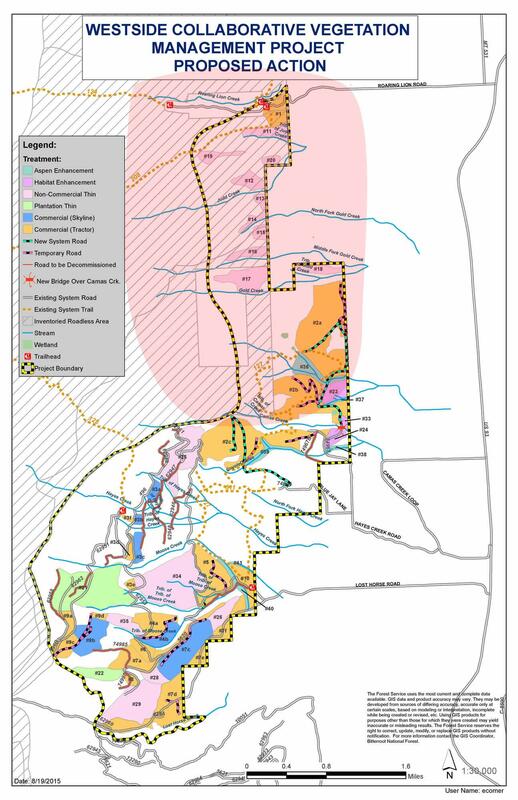 The project includes over 2,000 acres of National Forest System lands between Lost Horse Creek and Roaring Lion Creek southwest of Hamilton. The Forest Service says it will improve forest health and reduce hazardous fuels and lower crown fire hazards, while also restoring wildlife and native plant habitat and diversity. In addition to commercial and non-commercial timber harvests, the project also includes prescribed fire for fuels reduction. The Bitterroot Community Wildfire Protection Plan identified the project area as a "high priority" for fuels reduction in the wildland-urban interface. Commercial timber harvest will happen on 1,200 acres, with non-commercial thinning set for just under a thousand acres. The project will provide over 6 million board-feet of timber to Montana sawmills. Work is scheduled to begin on the project this fall. 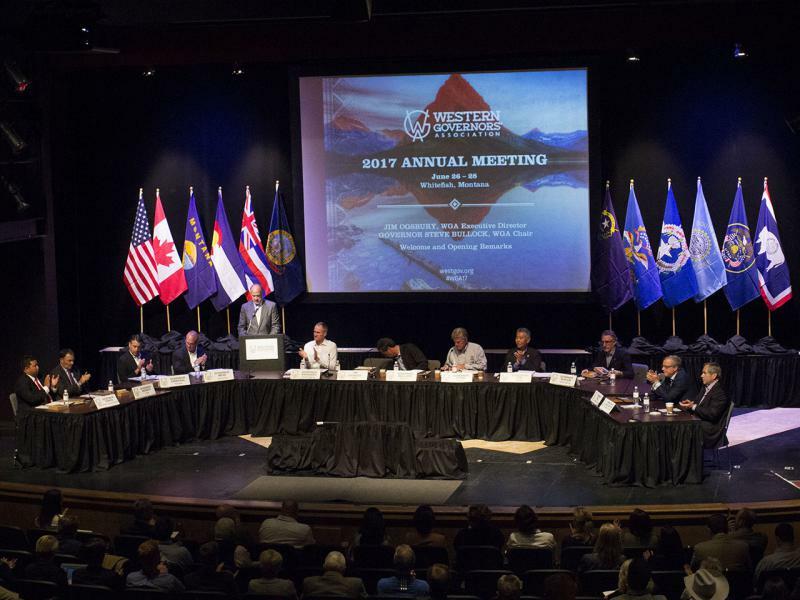 Governors from the western U.S. converge on Whitefish this week for the annual Western Governors Association. Monday, they talked about international trade agreements between the U.S. and Canada. The round table discussion between 10 western governors, a Canadian ambassador, and the premier of Saskatchewan, began with a question about the ongoing softwood lumber trade dispute between the two countries. 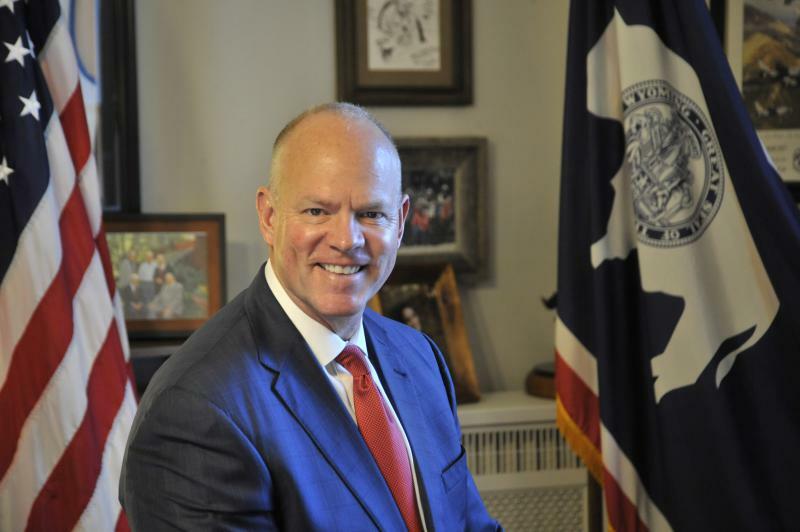 Wyoming Governor Matt Mead spoke with international and national business leaders in Jackson about ways to diversify the state’s economy, and get off the boom and bust rollercoaster.